This mushroom pastry recipe can be made in a variety of ways. 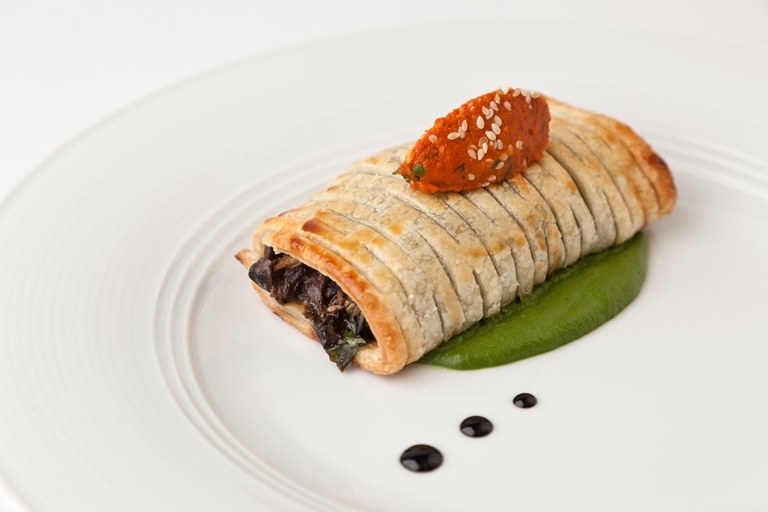 Follow Vineet Bhatia's fill recipe to create an impressive starter or simply make the puff pastry and mushroom elements and serve with a salad as a light lunch. Some of the more unusual spices for this vegetarian dish can be purchased at an Indian supermarket or online. While Vineet Bhatia has borrowed from European traditions to plate up his food, the manner and matter of his dishes are unmistakably those of India, handled with immense sophistication and personal panache.